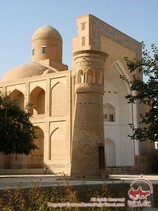 The unique Chor-Bakr Memorial Complex (‘memorial complex of four brothers’) is located at a distance of five kilometers southwest of Bukhara in the village of Sumitan. 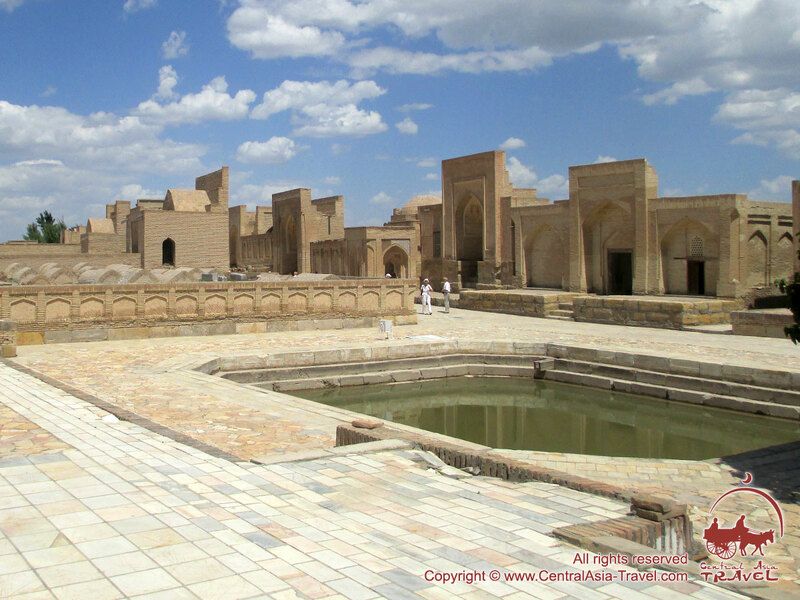 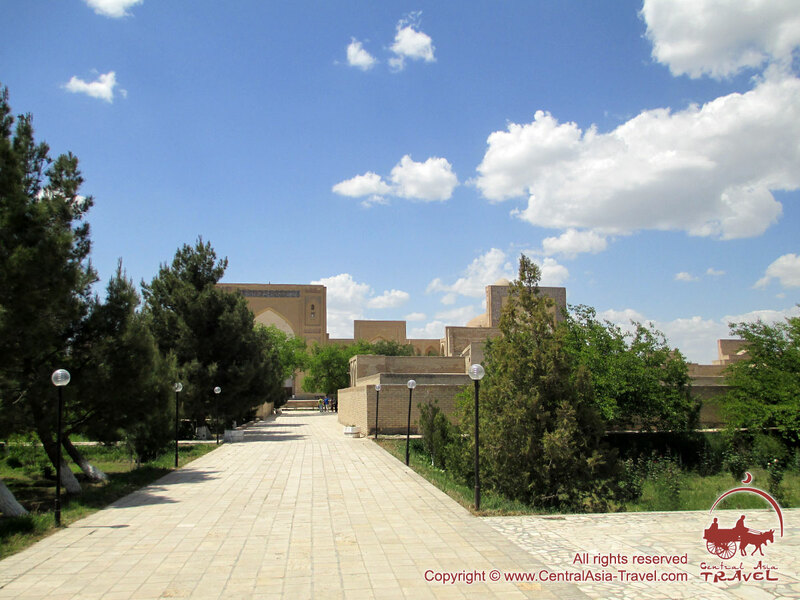 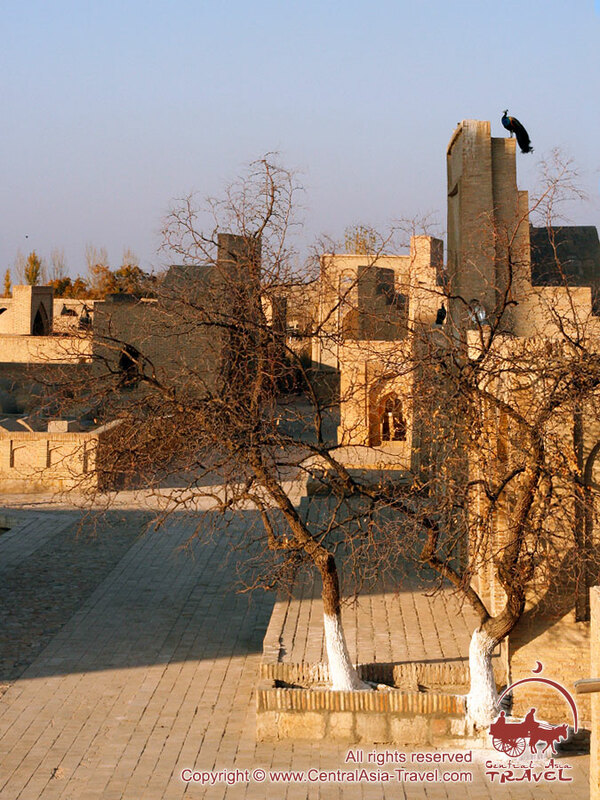 They began building it during the reign of the Samanids as long ago as the 16th c. It is also called Town of the Dead, and it is a UNESCO World Heritage site. 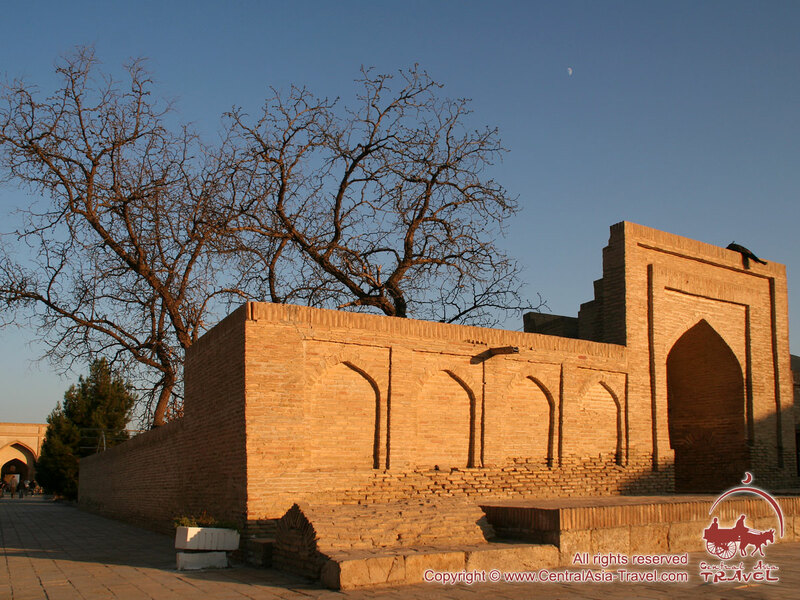 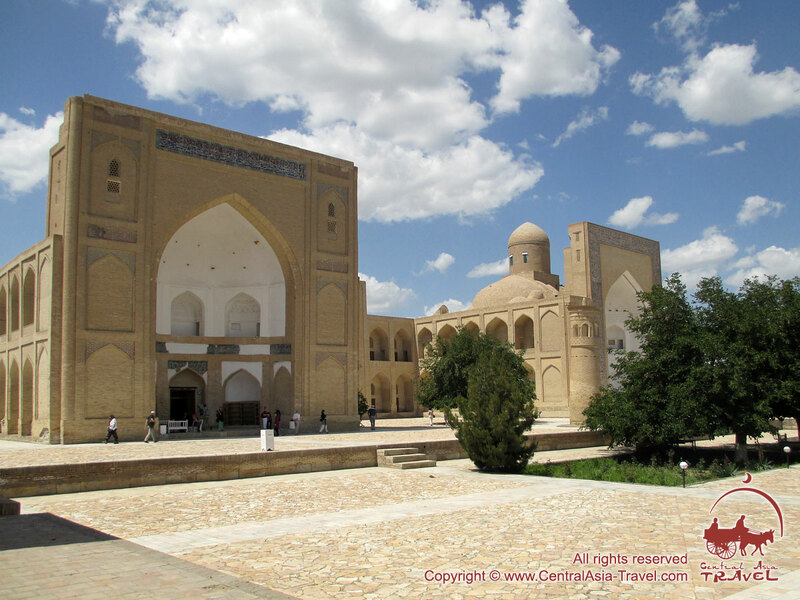 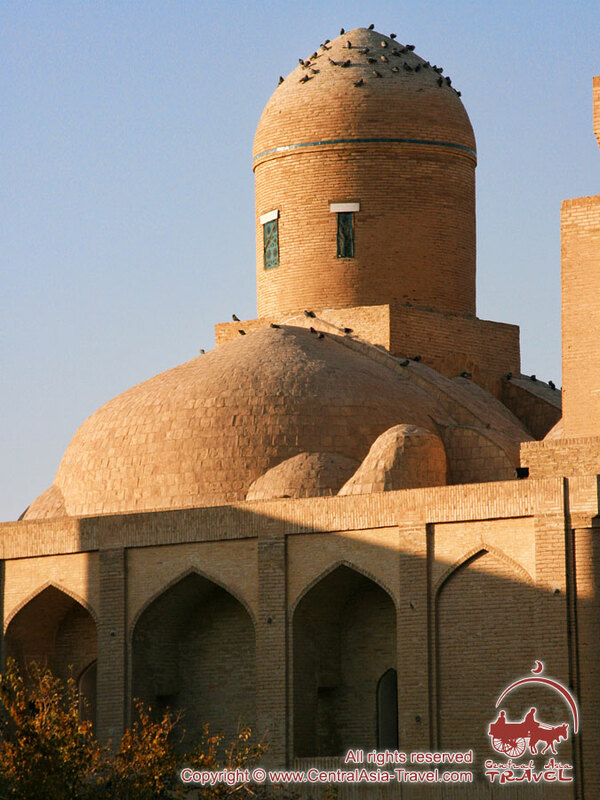 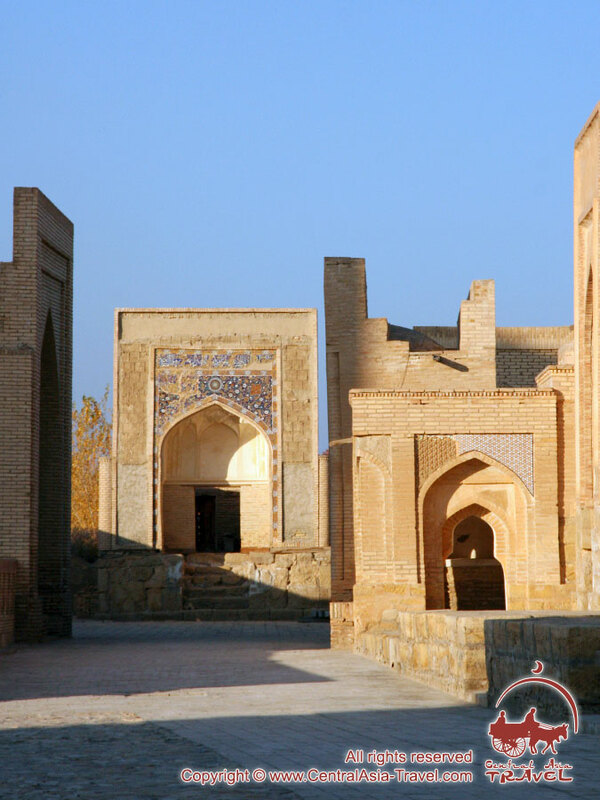 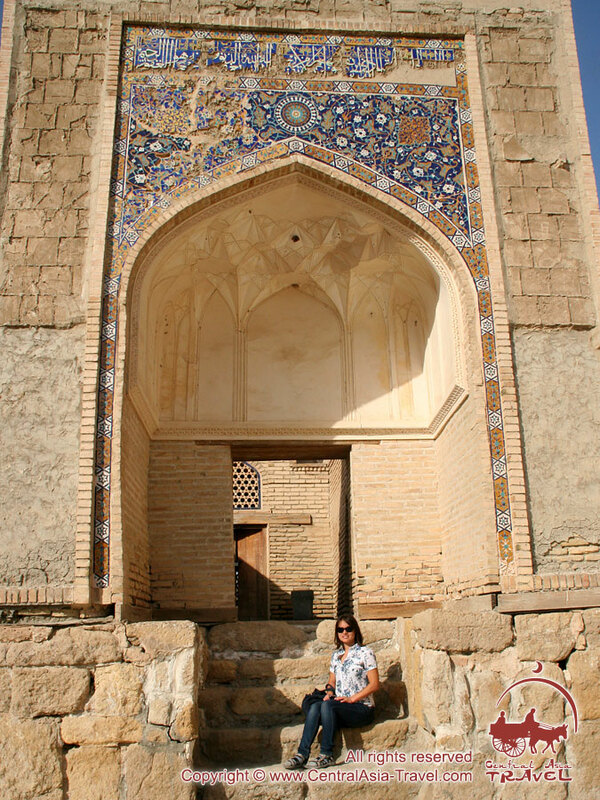 The village of Sumitan was given as a property domain to Juybari sheikhs during the reign of the first Uzbek Shaybanid dynasty. The first and the main grave the necropolis of the complex began to grow was Abu Bakr Saad’s, a descendant of the Prophet Muhammad. 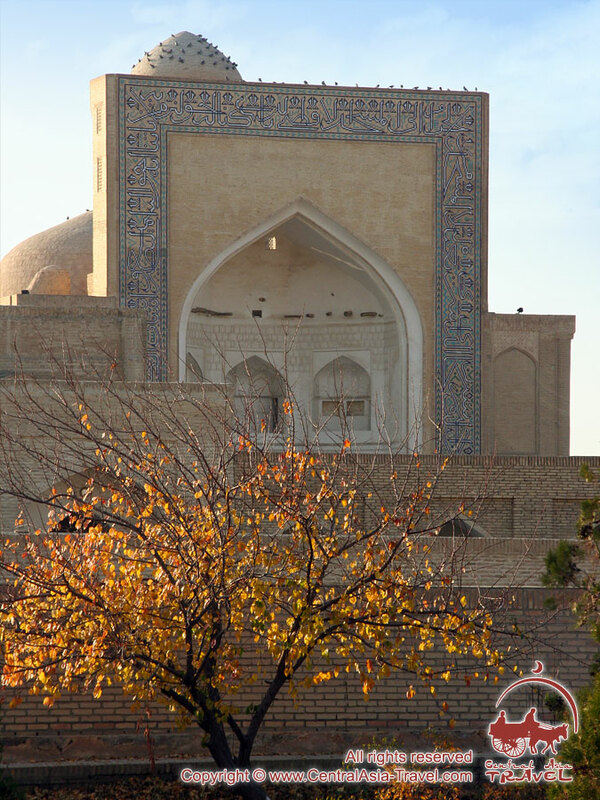 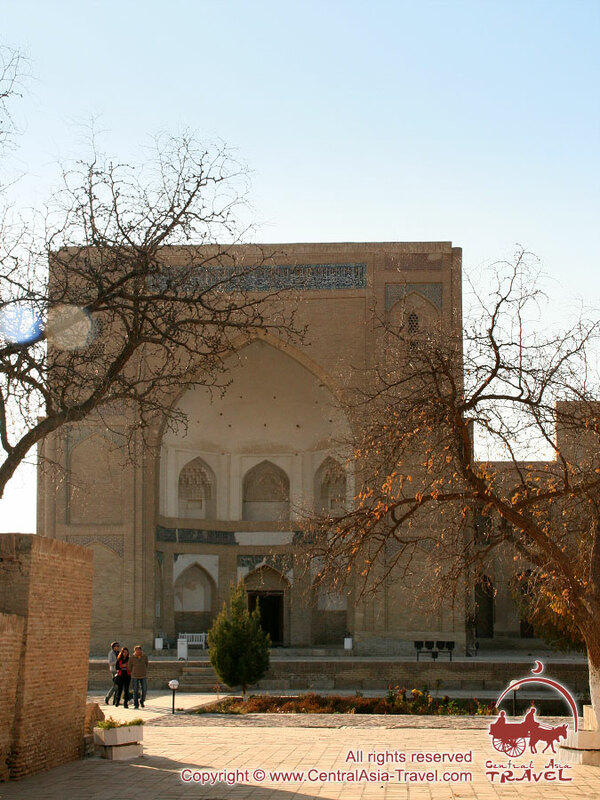 Abu Bakr Saad was believed to be the founder of the Juybari dynasty, which once had a great influence on the political and religious life in Bukhara. In the course of time Chor-Bakr become a family necropolis of the Juybari dynasty. 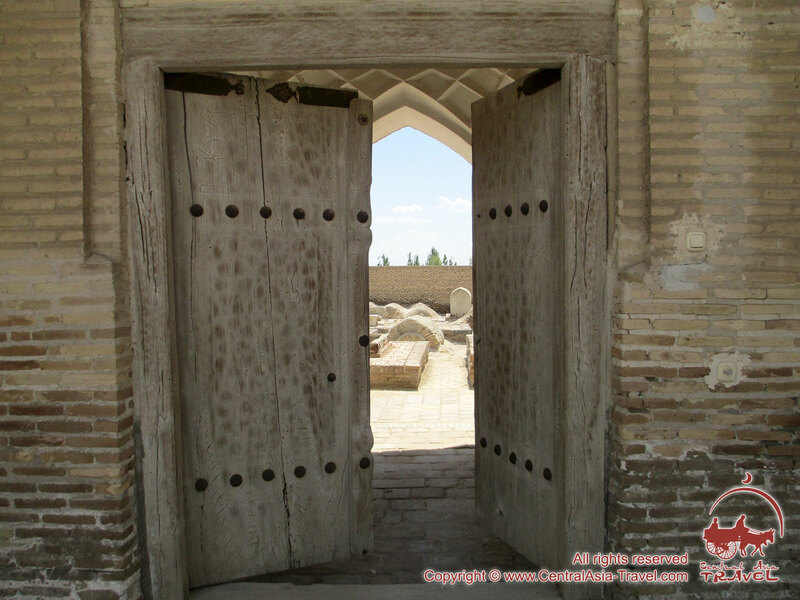 During the centuries to follow the territory of Chor-Bakr was filled with mausoleums with fenced dahma tombstones. 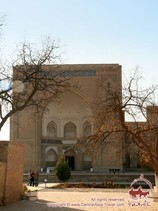 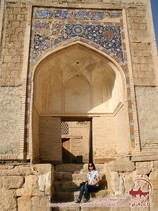 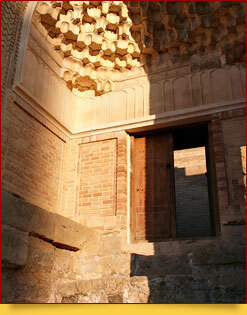 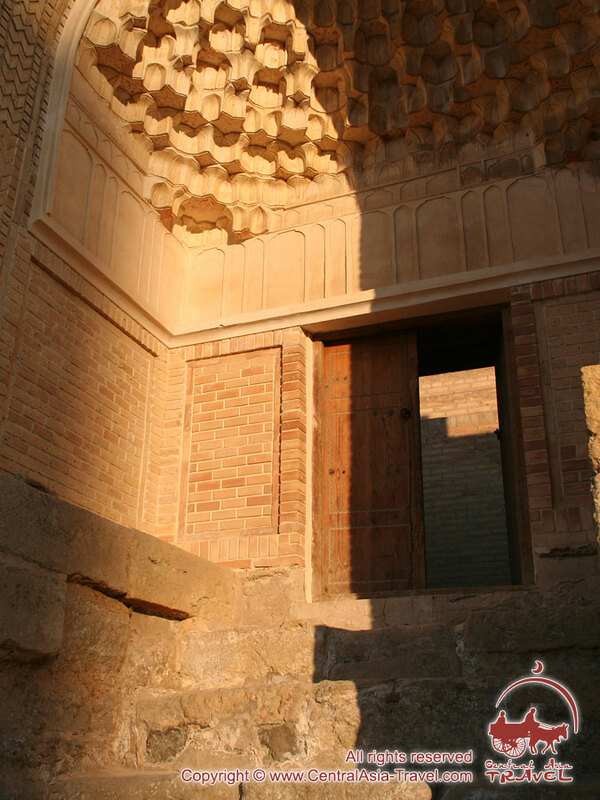 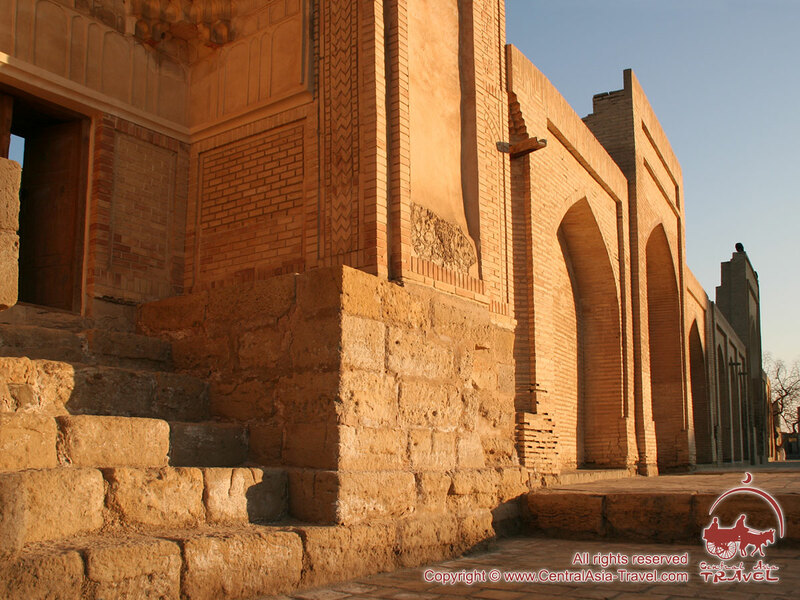 At the end of the 16th с Bukhara ruler Abdullah-Khan ordered that a madrasah, a mosque and a khanaka be built in the center of the necropolis, which meant to be a present for the Juybari dynasty. 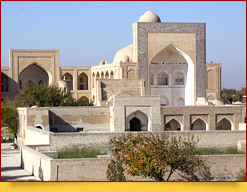 These three buildings form a large yard or even a square. 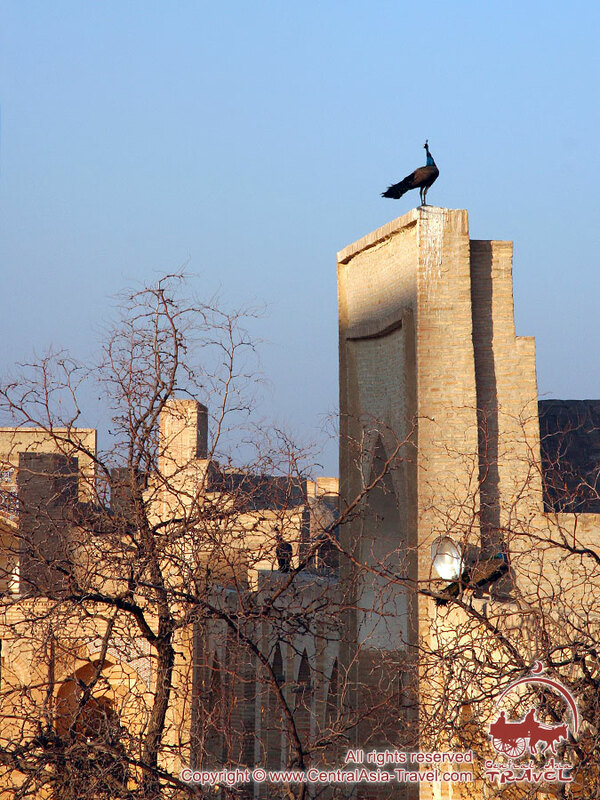 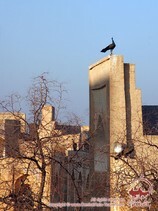 They make up a beautifully integrated and harmonious architectural ensemble. 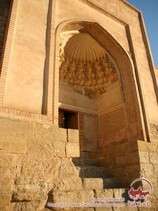 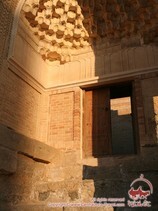 The facades of the khanaka and the mosque are large portals with archways. 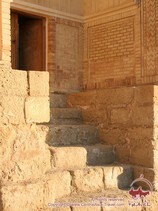 Their side walls have two-tier loggias, which was not quite typical of such buildings. 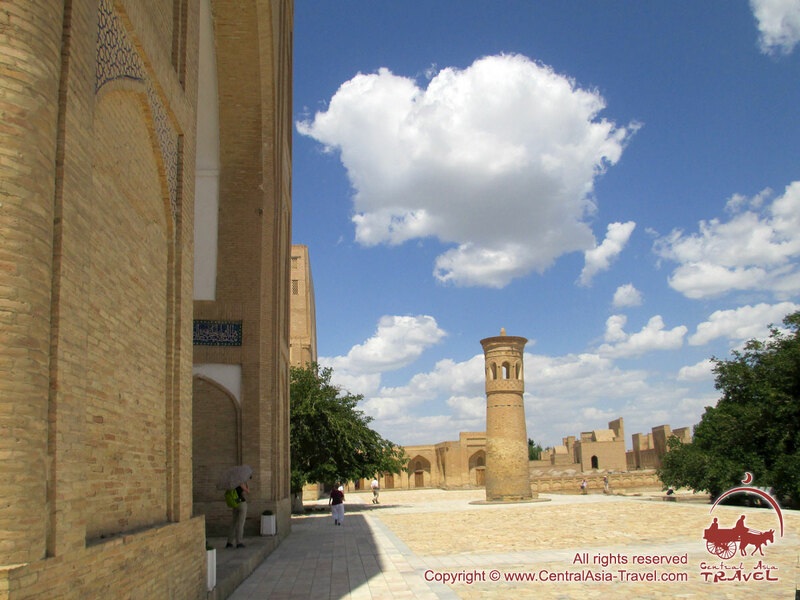 At the beginning of the 20th с they built a moderate size minaret at the open part of the yard - a replica of Kalyan Minaret in Bukhara. 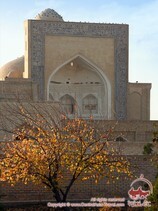 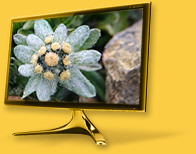 There is an orchard called Chor-Bog in the northern part of Chor-Bakr Memorial Complex. 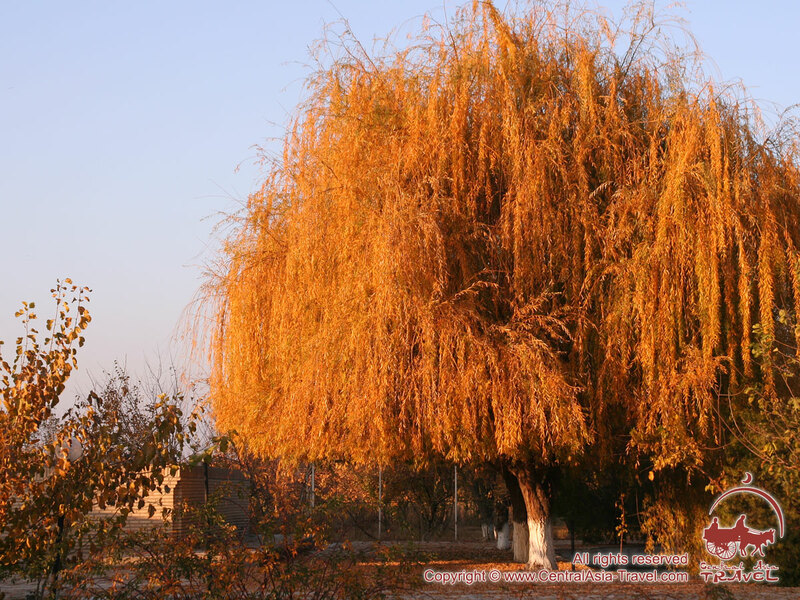 It is full of fruit and ornamental trees, grapevines and roses. 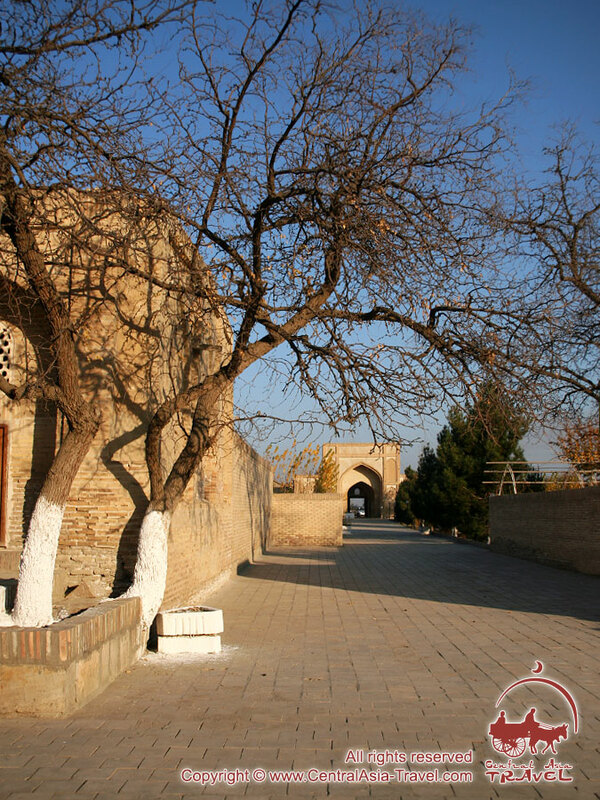 Two ditches, almost 5 kilometers long each, with trees along them run to the orchard from Bukhara. 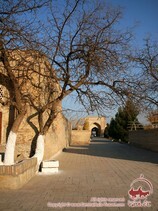 They made the alley for Abdullah-Khan to keep him in shade during his journeys to Chor-Bakr. Chor-Bakr burial rules changed over the years and in the 19th с they buried all the members of the ruling dynasty, including women. They believe in Bukhara that if a pilgrim in Chor-Bakr makes a wish and visits all the four mausoleums of the saints who all were named Bakr, this wish will certainly come true.